Avondale Sweeps offers a chimney sweeping service covering Northamptonshire, Rutland and the surrounding counties. We specialise in problem solving , are able to remove birds nests, supply and fit bird guards and carry out CCTV camera inspections. We are always polite and courteous, tidy and clean. We are DBS checked, have £10m public liability and are HETAS approved. We are also a Northamptonshire County Council Buy With Confidence Approved Trader. Chimneys are swept using state of the art equipment. We carry out a full inspection and a smoke evacuation test. We issue fully recognised industry standard Guild of Master Chimney Sweeps Certificates - recognised by insurance companies. Certificates also fulfil a landlords mandatory safety obligations regarding oil, gas and solid fuel. Guild of Master Chimney Sweeps meet and adhere to strict criteria whilst achieving high levels of training. We provide the highest level of service to customers. The Guild also supports us whilst offering the experience of a national organisation to help give further training within the chimney sweeping industry. Customers that seek the services of Guild Sweep will have the peace of mind that they will be receiving a level of service and knowledge that is above the necessary legal requirements. DL Maintenance covers all types of maintenance from putting up a curtain rail to full refurbishments and building work by qualified, reliable and honest contractors giving peace of mind to landlords, tenants and homeowners. LB Contracts offer a friendly, reliable and professional service to both residential and commercial clients. We specialise in short notice, fast turnaround contracts whilst maintaining a first class, high level finish inside and outside of the property. Our highly skilled tradesmen carryout all aspects of maintenance from full interior refurbishment to garden clearance. We are fully insured, guarantee our work and cover a radius of 20 miles from Northampton. We work with individual companies, various Letting Agents/Maintenance companies, private landlords as well as private home owners. SJP deliver a wide range of property services to home owners, tenants and businesses. We undertake all types of interior property work including flat pack assembly, painting and general decorating, tiling, installation of light fittings, hanging of pictures and mirrors, shelving and storage, blinds and curtain pole fixing.. in fact any small job around the home or office. Our aim is to provide a quality handyman service at a fair and honest price. You only pay what we have quoted – no hidden extras. Any additional services or materials will be discussed with you before we go ahead, so you know exactly what you will be paying. We are fully insured up to £1million and guarantee all of our work. Lots of individuals and businesses have benefited from our services and our goal is to keep on growing and enhance our customer portfolio throughout Buckinghamshire and Northamptonshire. We are here to help you tick things off your to do list and provide you with a reliable and honest handyman solution. We want to make those small jobs a little easier to deal with. Please call and get a free, no obligation quote – No job is too small. Care & Repair Northamptonshire is an independent charitable home improvement agency with over 30 years’ experience carrying out works to support vulnerable householders across Northamptonshire to remain warm, safe and secure at home. We can help landlords to meet their obligations by carrying out a wide variety of home improvements and repairs including handyman and general maintenance, electrics, plumbing, carpentry, security works, smoke alarms, gas safety and carbon monoxide detectors, energy efficiency measures, fencing and gating. Based in Northampton, Infinity Electrical Ltd are dedicated to providing a highly professional, cost effective and reliable service which is responsive to our clients needs. All aspects of domestic installations to include, new latest type consumer units AM3 17th Edition split load, upgrading of earthing, accessory repairs lighting and power, shower supplies, external lighting, garage supplies, bathroom and kitchen power and lighting, boiler wiring and heating systems, complete rewires and fault finding and repairs. Maintenance, Domestic, Commercial and Industrial Installations. We cover all areas in Northampton and surrounding counties. All of us are fully qualified, affiliated with the NICEIC, MIT and ECS, trained in health and safety and have CRB disclosures. We have 5m Public Liability insurance and all works are guaranteed. Styleglaze have been established for over 25 years and, using our own products and employees, we have a wealth of experience in replacement windows, doors and conservatory installations. We specialise in the design and construction of conservatories both in PVCu and hardwood and undertake all the necessary building and electrical work for your installation if required. We aren't restricted to systems, finishes, handles or locks giving you the freedom to choose the style you require without the need to compromise. There is practically no limit - Victorian, Edwardian, Contemporary, Ultra Modern; every kind of window, conservatory or door you could possibly think of. If you are thinking of improving your home with new windows, doors or a conservatory, call Styleglaze now for the best choice and the best value on 01327 300650. Styleglaze is a FENSA registered company and all our installations are compliant with current building regulations. For a free, no obligation discussion with a non-commissioned Styleglaze consultant call us now. Commerce Windows Limited are a Northamptonshire based company, offering a wide range of purpose built double and triple glazed UPVC, Aluminium and Wooden windows, doors, conservatories and roofline products with styles and designs to suit every budget and every home. Based in Rushden, we have a Head Office and an extensive Showroom. As with any investment you need to consider all the available options. All windows are not the same, although it may seem that way. The systems we use are high quality and are designed and manufactured to some of the highest standards in the window and door industry. By choosing double or triple glazed windows and doors from us you are guaranteed the highest of quality that will blend perfectly into your home. As a registered member of the Glass and Glazing Federation’s (GGF) fenestration self-assessment scheme (FENSA) Commerce Windows Limited adheres to all current building regulations and relevant government legislation. We are also registered members of TRUSTMARK so you can be assured that we operate to government endorsed standards. Commerce Windows opened for business in 1991, almost 20 years ago. It was an exciting time of strong growth and it laid the foundations for the business, values the Company still holds today. The strength of our business today enables us to provide solutions and services to our customers’ requirements. Commerce Windows became Commerce Windows Limited in 2006. We are wholly family owned and managed. We operate with simple values born from the family management. This down to earth approach has served us well over the years and we are not going to change it now. Through The Keyhole Locksmith are a small family run business which was founded in 2014. Based in Daventry, we have a wealth of experience in the commercial and residential sectors, reassuring clients of the quality, security and longevity of the products and services we offer. We pride ourselves on non destructive entry and will always attempt to gain entry without the need to replace the lock. Specialists in UPVC and most locks carried on the van. Also specialising in garage door locks as well as the garage door defender locks which are of top security. With emergency and scheduled appointments being offered we are available 24/7. Please call Darren on 07512 013 846 or 01327 605942.
small commercial units and have regular work contracted in the town centre for five different estate agencies and for various bars and nightclubs. As a diversified cleaning company, we can handle a one off oven clean up to a 5,000 square foot office clean! 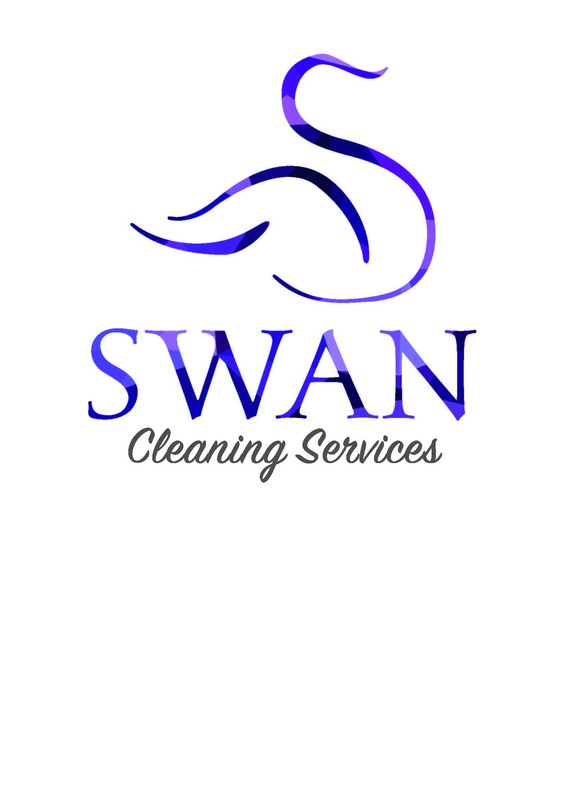 We are a local registered cleaning company with full liability and staff member insurance and adhere to in house quality control policies with face to face reviews on any work ensuring 100% customer satisfaction. We have a working force of 10 regular full and part time staff working across Northampton in their specialist divisions. We can increase our work force when required on larger projects. We are the only company known in East Anglia to hire carpet cleaning machines to customers with a free drop off and pick up service with solution included. A1 Remedials Limited is a damp proofing specialist company who are based in Northampton we can also solve dry rot and timber treatment issues within properties. We are a family run business based in Northampton with our surveyor having 30 years experience in damp and timber works, we have a surveyor who is PCA trained. A1 Remedials can offer a free of charge survey which would include a report/quotation and sketch plan of the damp areas, Once our surveyor has completed the survey we send the report/quotation within 48 hours to our client, we are able to offer up to 30 year guarantees for our work. We are a very competitive company with our pricing and often offer discount on works, we have been approved by Sovereign Chemicals and have been accepted for MyBuilder.com.